A few weeks ago I made my way out to the mountains for the day with one of my favorite outdoor companions, my five year old son. Our destination was nearby Sunshine Village in Banff. Sunshine Village Gondola - Ready for Adventure! For Noah and I, Sunshine Village gave us the perfect opportunity to spend a fun day together while pursuing different sports at a level we could each enjoy. While Noah was checked into a child care and ski school program for the day, I participated in the Historic Snowshoe and Fondue Tour. While I do love skiing, downhill skiing is something I have to do in moderation due to restrictions on this well seasoned body of mine. I am so glad that ski hills are starting to offer more variety for their guests with everything from snowshoe tours to yoga classes and on-hill lodging where you can spend the day relaxing with a good book. My family is going to be visiting resorts like Sunshine Village every winter but that doesn't mean each member of our family has to do the same thing each time we visit. As long as we meet up for a hot chocolate at the end of the day and go home with happy smiles on our faces, I will be a well pleased mom. Snowshoeing at Sunshine Village - Absolute Paradise!! To read the full story, go to Snowshoe and Ski Vacations for the Whole Family at Snowshoe Magazine. 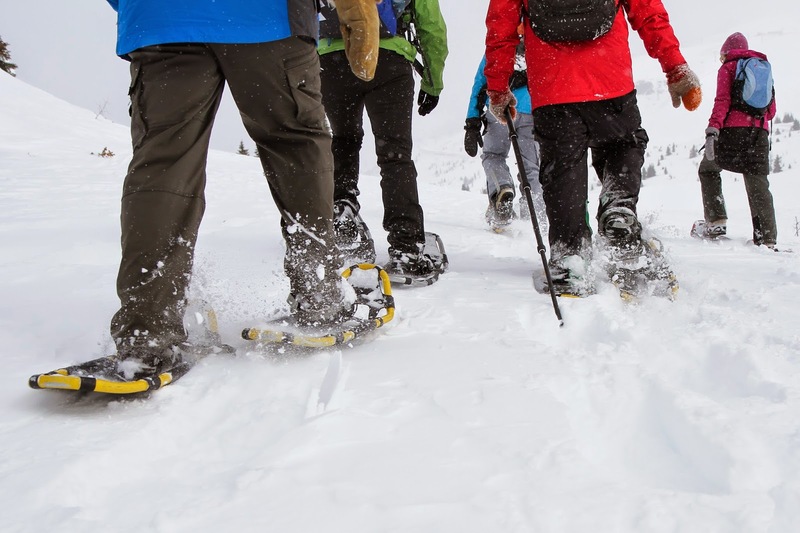 To read last year's story when I went snowshoeing at Sunshine Village, visit the link to Move Over Skis - Hello Snowshoes. 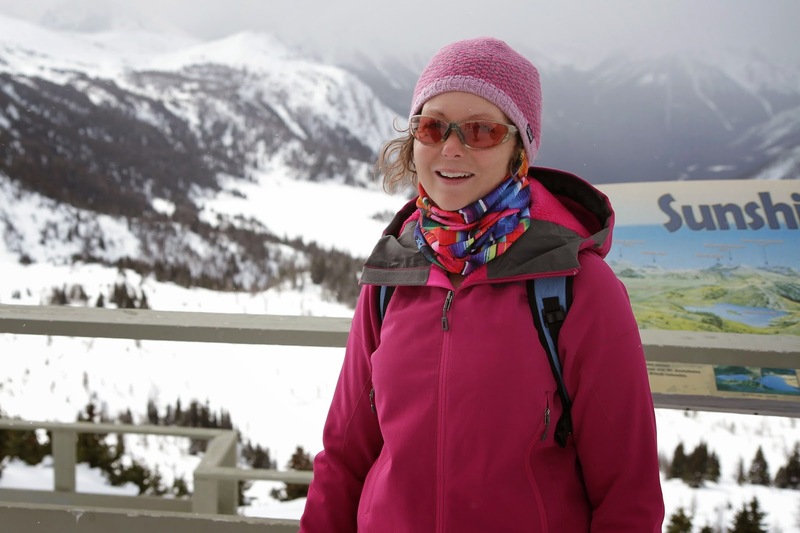 Last year's tour was done with White Mountain Adventures, the same company that runs the tours for Sunshine Village's Snowshoe and Fondue Tour. There's lots of good photos in last year's story that I hope you will check out if you want to see what the experience is all about. Finally, for information on any of Sunshine Village's programs, visit their website at Ski Banff. Big Thanks To Sunshine Village for making our day possible and for providing me use of several of the photos in this story. 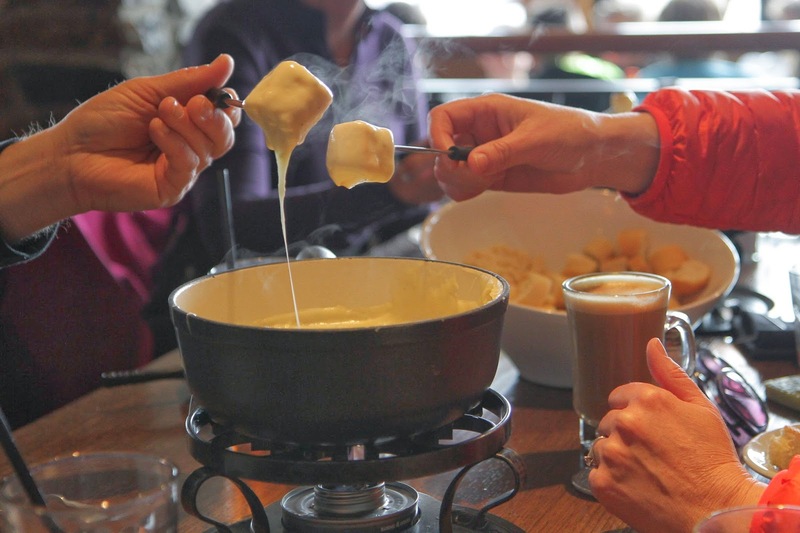 Disclaimer: I participated in the Snowshoe and Fondue Tour as part of a media visit. As always, all thoughts and opinions are my own.